The lego party favors were kept simple since we had a pinata and a mini candy bar for the kids at the party. I bought treat boxes from oriental trading. 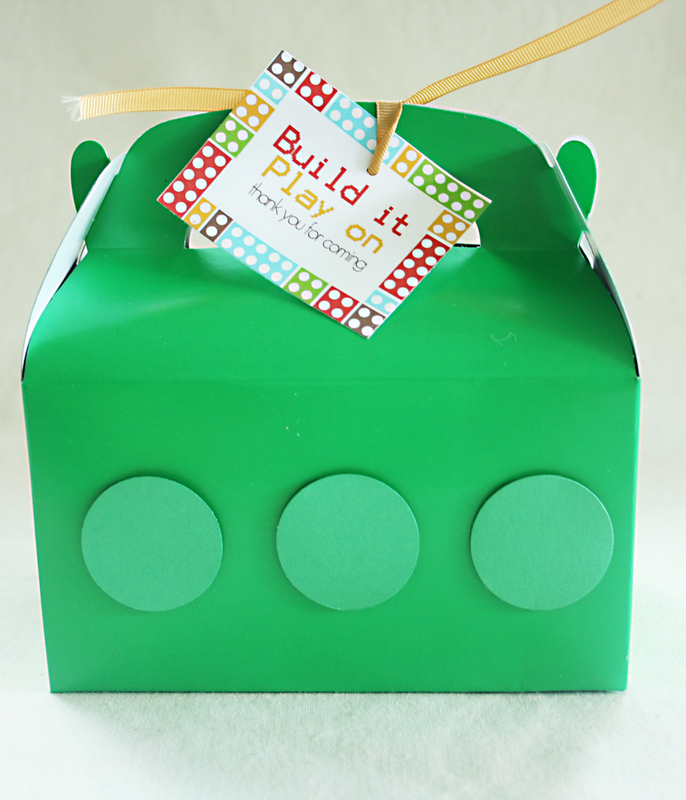 Similar to the party invitations, I punched three 1.5″ diameter circles out of similar colored paper and affixed with foam sticker to the box for the lego block look. 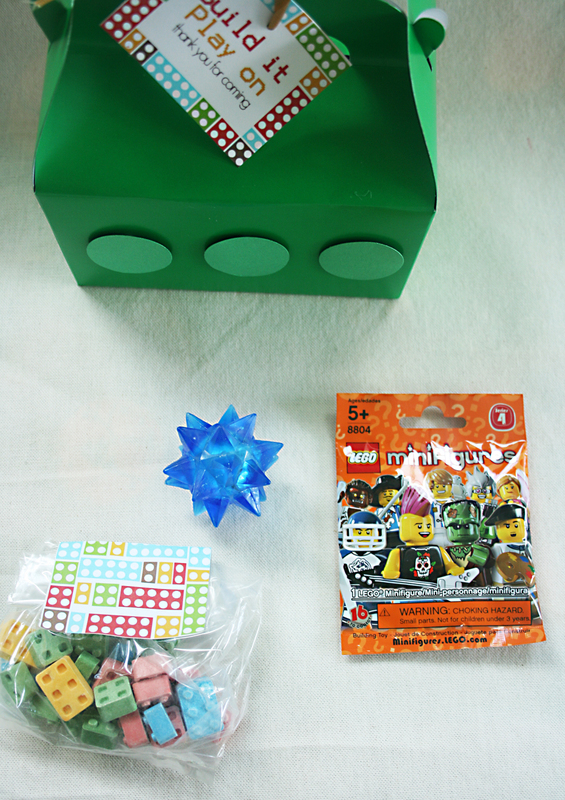 We took a trip to the Lego store (which is really cool) for party favor ideas and found the minifigure packets. I found the lego sweet tart candy on amazon. You can actually build with them! 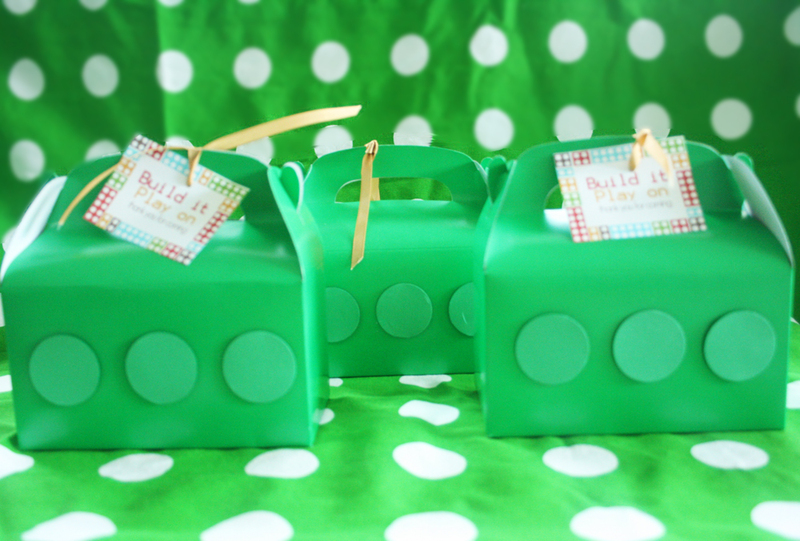 The party favor boxes lined up at the party. Too fun! As always, LOVE LOVE LOVE.